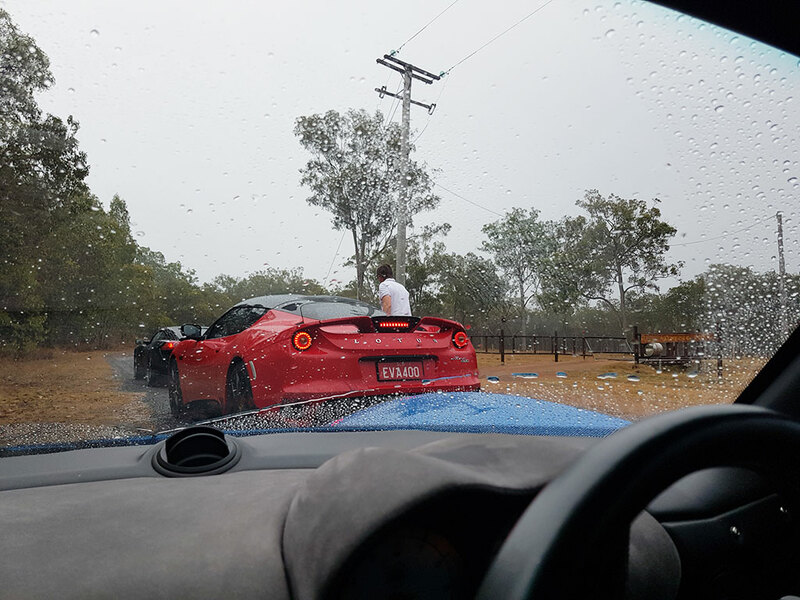 Story and photos by Sam Murphy. 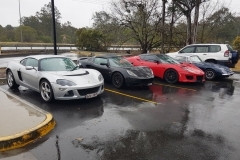 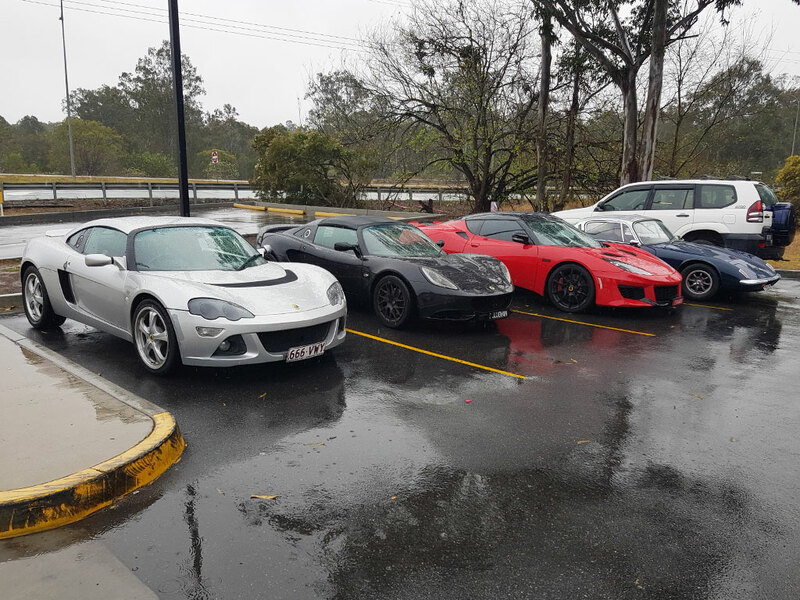 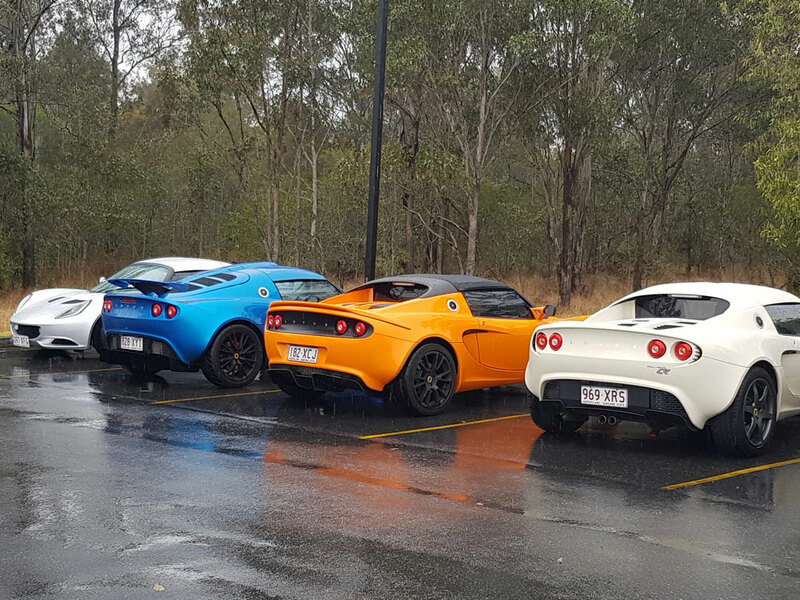 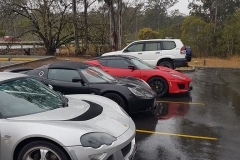 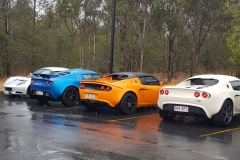 After a week of dark clouds, thunder and lightning in Canberra and a new Prime Minister to boot, the only seemingly sensible folks remaining in Australia ventured out for a Sunday Club Run along the Fast B-roads west of Brisbane. 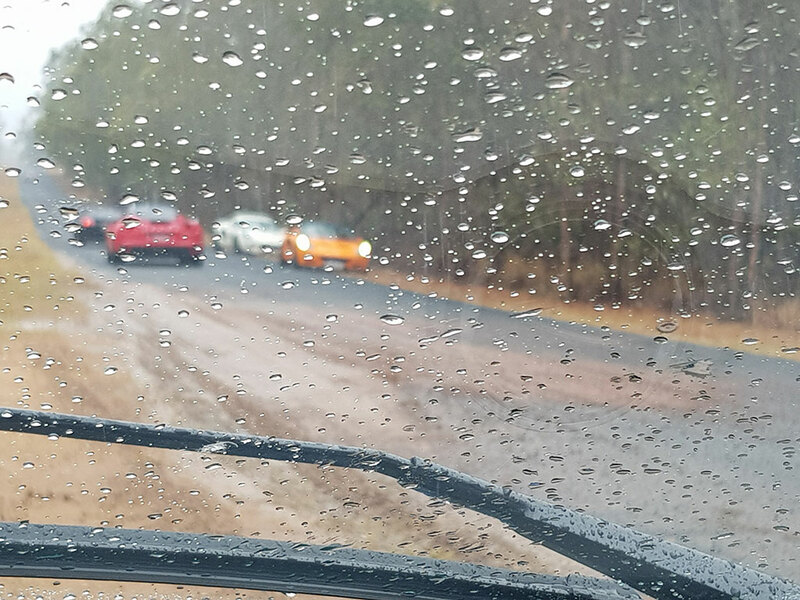 Unfortunately, the clouds had moved north over the weekend and we were awoken by heavy rain on Sunday morning and potential to catch an action-packed episode of Insiders on Channel 2. 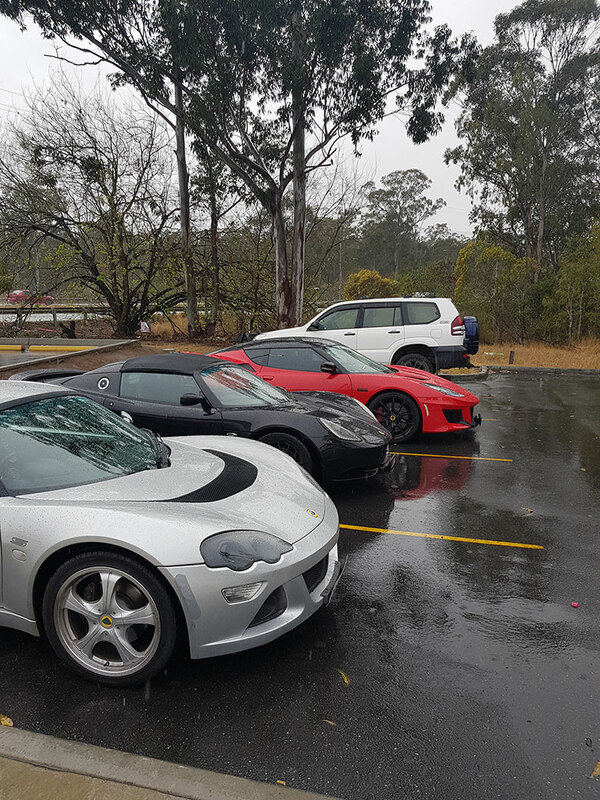 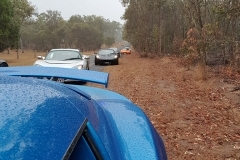 However, while the rain surely knocked out participation of our canvas covered compatriots – the hard-shell owners among the club – Elise, Exige, Evora and Europas – were determined to burn up any remaining anxiety from the leadership spill. 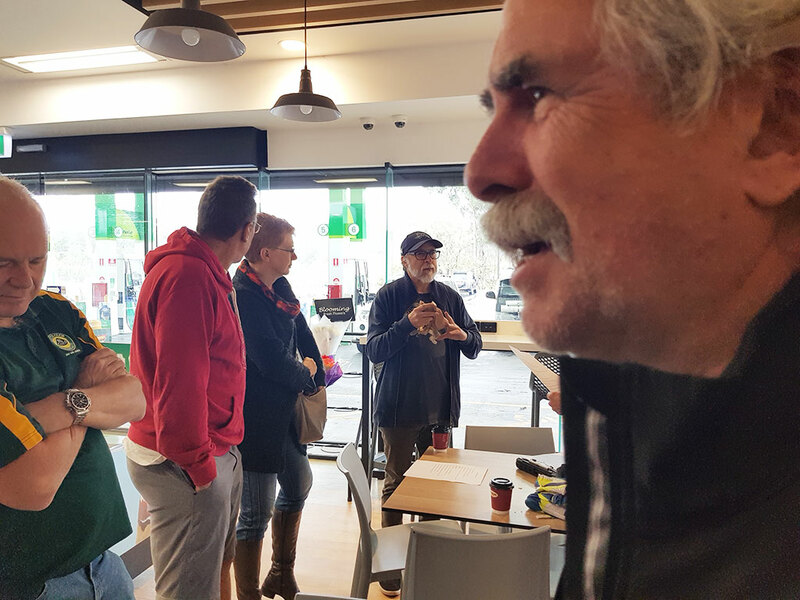 A decisive text message from social coordinator and run leader Steve Lennox confirmed the event (fortunately he did not require 43 signatures) and 8 cars assembled at the Blacksoil BP service station. 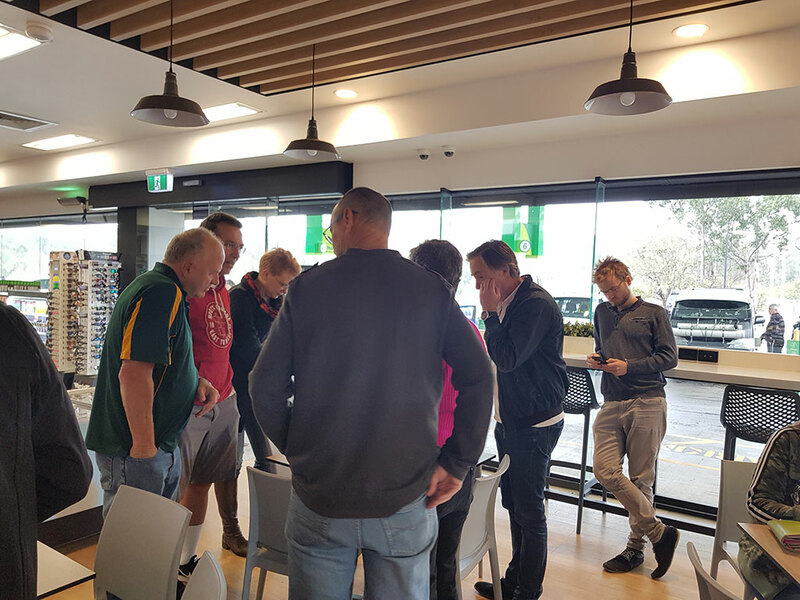 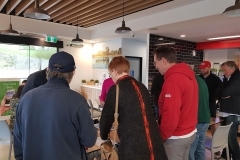 As the small assembly of club members huddled in the servo café from the rain, the irony of the sudden change in climate, in light of NEG negotiations, emissions reduction targets and drought relief funding was not lost. In fact, some suspected my Make America Great Again cap dangerously tested both gods and ideologues. 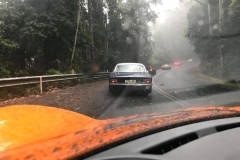 On the chime of 8:30 we exited the servo, wipers on, full throttle, 98 octane emissions teasing the climate spirits for a sprint down the Warrego Highway to the Frenchton exit and start line of the Fast B-roads run. 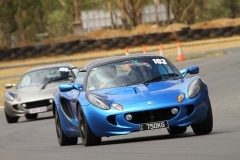 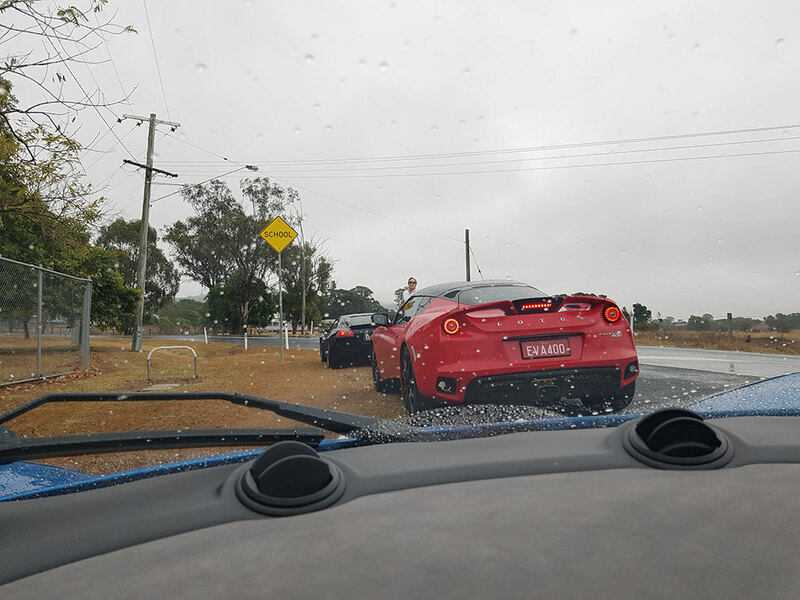 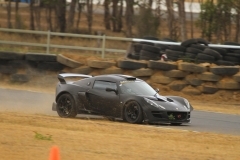 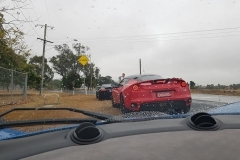 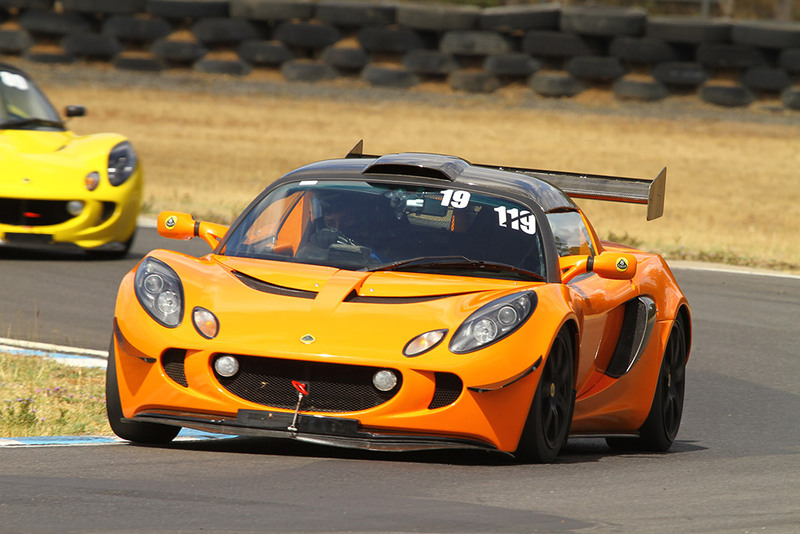 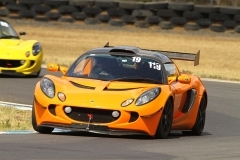 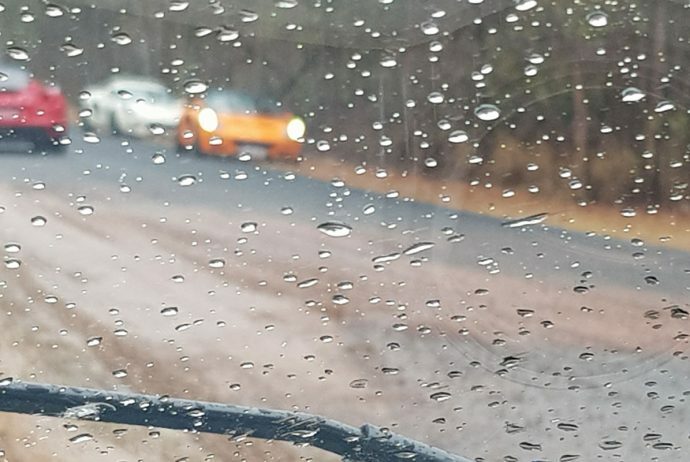 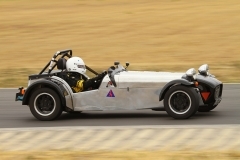 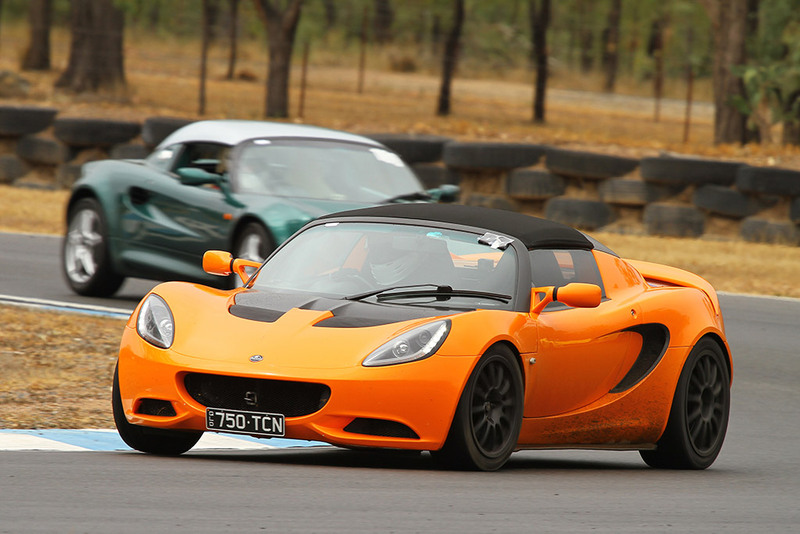 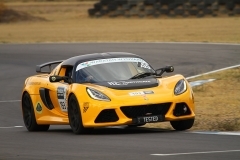 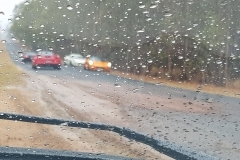 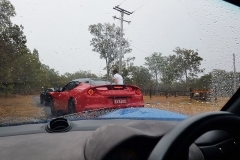 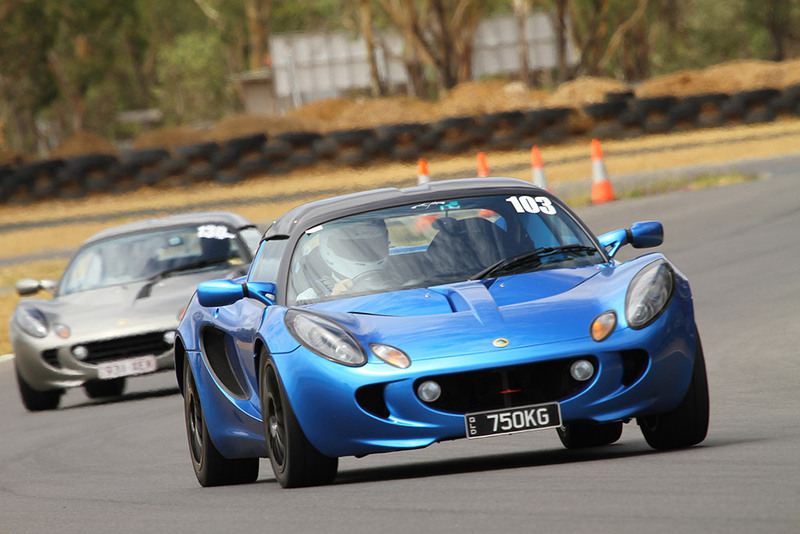 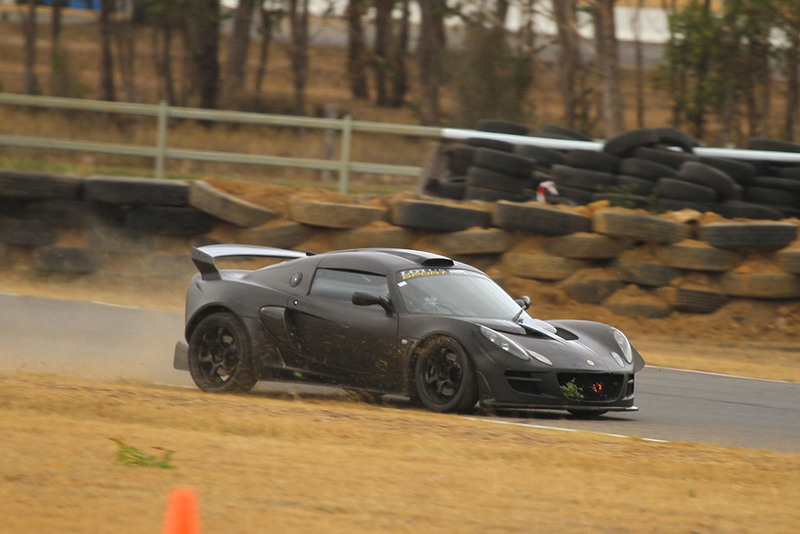 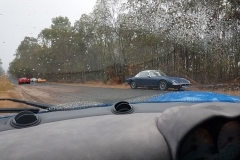 Despite the rain, the soft r-spec rubber lapped up the hot chip roads and the rural establishments of Coolana, Tarampa, Lowood and Cominya flashed by. 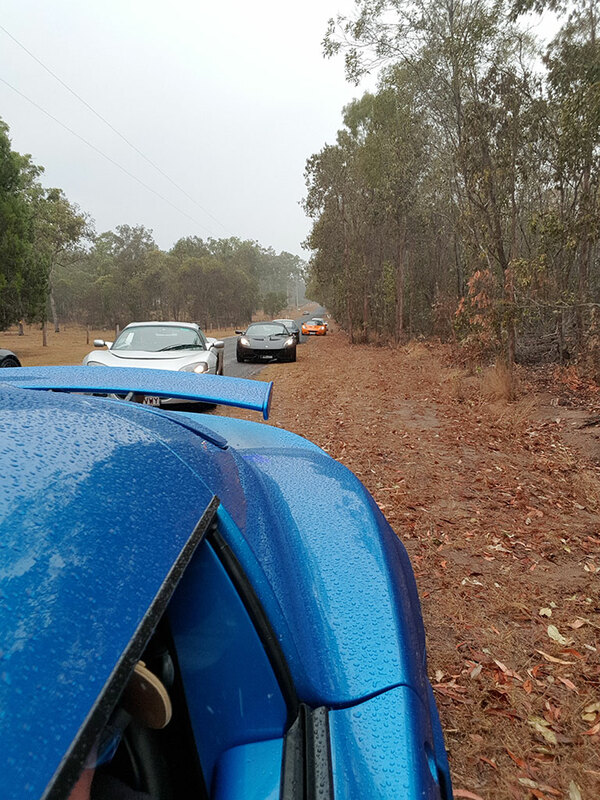 At one point, our route met a gravelly extension (Rocky Gully Road may have been a hint) and a u-turn was required. 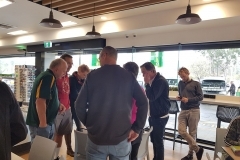 As these situations often inspire, Phil and Gail Hart assumed ascendency and the crew was safely navigated along the Wivenhoe West Bank and back side of Mount Glorious to the café with visibility averaging 20 paces. 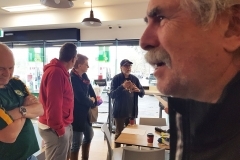 Steve maintains he still commands full navigation control during family driving holidays – however there was some debate over this point while downing flat whites, bacon, eggs and cake at Cloverlea Cottage. 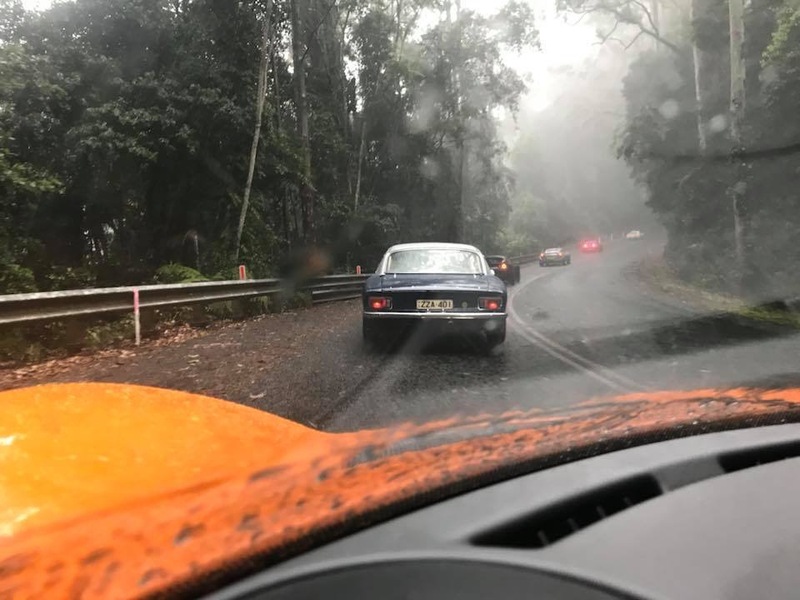 It is also worth noting that as the battle for the ICC heats up, there was not a sign of a Porsche in sight along the Mount Glorious proving grounds – a sure sign of the seriousness of the LCQ assault on the 2018 title. 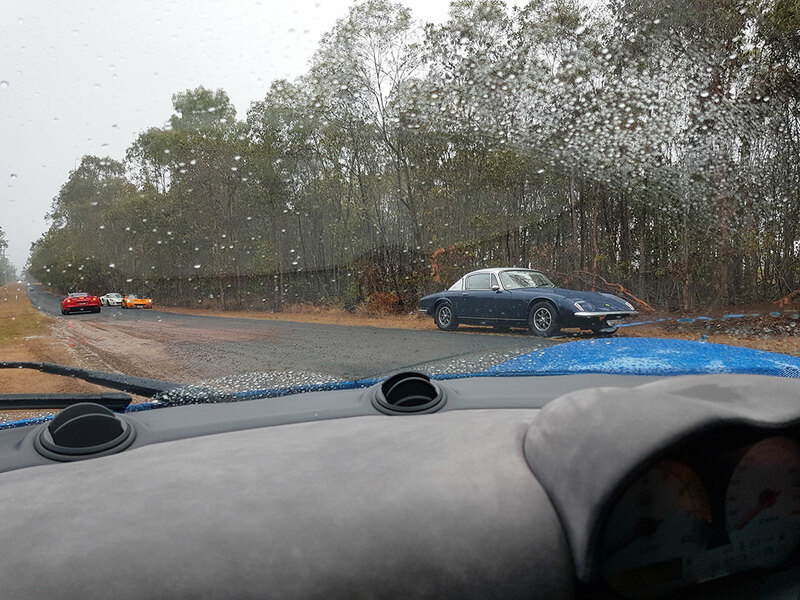 Thanks to Steve for arranging a great run and for we are all looking forward to hitting the B-roads again, next time in clear weather.